...for a tattoo, I found this. The ingenuity behind something by this was intriguing. 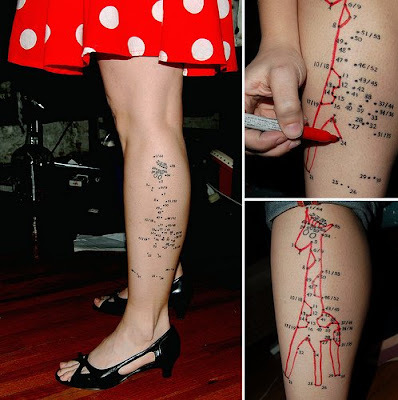 Then I thought about it and questioned why someone would want a connect-the-dot giraffe on their leg. Maybe I'll ask her someday.